Following on from An Aussie Goes Barmy, Hugh Jackman’s Seed Productions will produce An Aussie Goes Bolly. The six part series narrated by Jackman will follow Gus Worland as he tracks the Australian and Indian cricket teams through India. Worland will travel through Delhi, Mumbai, Bangalore, Goa and to the Taj Mahal in Agra. It premieres on Monday, January 7 2008 at 8.30pm on FOX8. FOX8 will bowl into 2008 with a brand new local production featuring the Australian and Indian cricket teams, Hugh Jackman and the country’s biggest sports fan, Gus Worland. An Aussie Goes Bolly premieres on Monday, January 7 2008 at 8.30pm only on FOX8. Following the success of An Aussie Goes Barmy over summer 2006/07, this brand new Australian series sees Gus Worland go Bolly, brave the local vindaloo, shed a few kilo’s and return from the recent one-day international cricket matches with a fresh new look at cricket through Indian eyes. The six-part observational documentary series is narrated by Hugh Jackman and follows host and cricket die-hard fan, Gus Worland on an epic Indian cricket tour covering over 10,000kms, as many cities and crowd-packed cricket grounds. Beginning in Delhi, Worland takes the cameras behind the intense action of the seven one-day International games as well as the big TWENTY20 match. Along the way he also treats viewers to the scenic wonders of India including, Mumbai, Bangalore, Goa and of course the Taj Mahal in Agra. The premiere episode sees Worland, in his lovable rogue style, upset the local constabularies, wrestle a big sweaty native and receive a massage he’ll never forget. He’s also the lone Aussie in a heaving stadium amongst some of the games craziest fans. Throughout the series Worland goes absolutely Bolly, experiencing a land of extreme contrasts – not only the stunning Indian landscape but also the culturally diverse people. Set amongst all the steaming action both on and off the pitch viewers will experience first-hand the controversial Indian fans who worship the game like a religion. Special guest appearances by Australian cricketer Brett Lee, a rare one on one with legend Indian cricketer Sachin Tendulkar and interviews with feisty fans make this a summer must-watch for sports and arm chair travellers alike. An Aussie Goes Bolly is the second series for Seed Productions screening on FOX8. 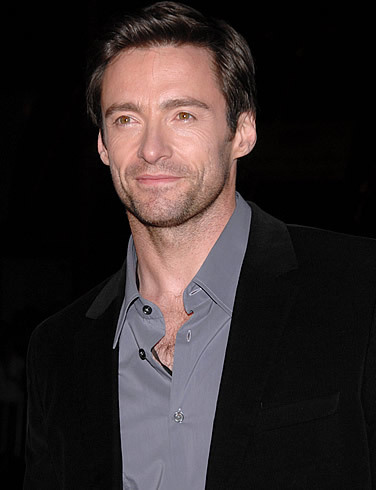 Seed Productions was formed by partners Hugh Jackman, Deborra-lee Furness and John Palermo and is co-produced with Granada Productions. I do hope that Channel 9 gets the chance to broadcast this series, it looks and sounds very interesting indeed. Can Channel 9 broadcast this series later in summer i.e. after Foxtel has finished with it?